Remember the days when your home had only one TV and a computer was something you only needed at work? These days, most homes have multiple TVs and computers, all connected to various devices such as DVD players, game consoles, external monitors, and printers. 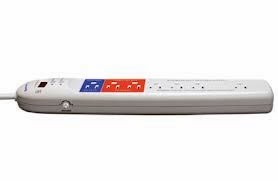 APS are designed primarily for home entertainment centers and home office areas where there are typically many consumer electronics plugged into a power strip, and they work by preventing electronics from drawing power when they are off or not being used. There are a variety of different types of APS to fit different people’s needs. For example, if you often fall asleep when watching TV at night, an activity monitor APS can turn everything off for you. Or, if you are always diligent about turning all your electronics off when you aren’t using them but are concerned about the lingering vampire power draw, a masterless APS can make sure that everything is completely off.